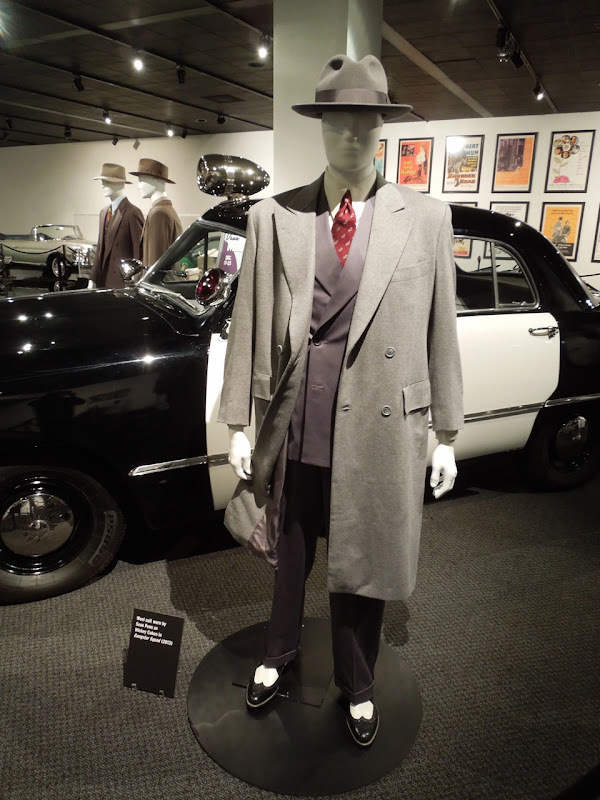 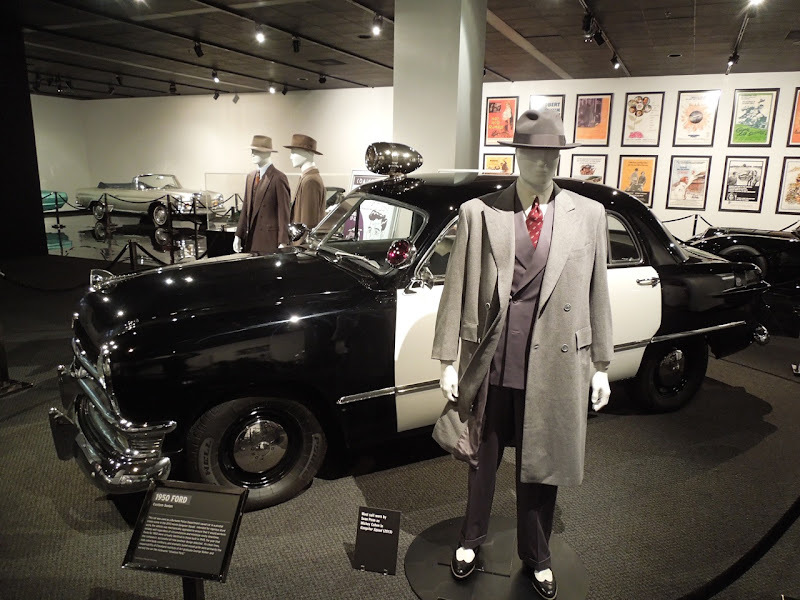 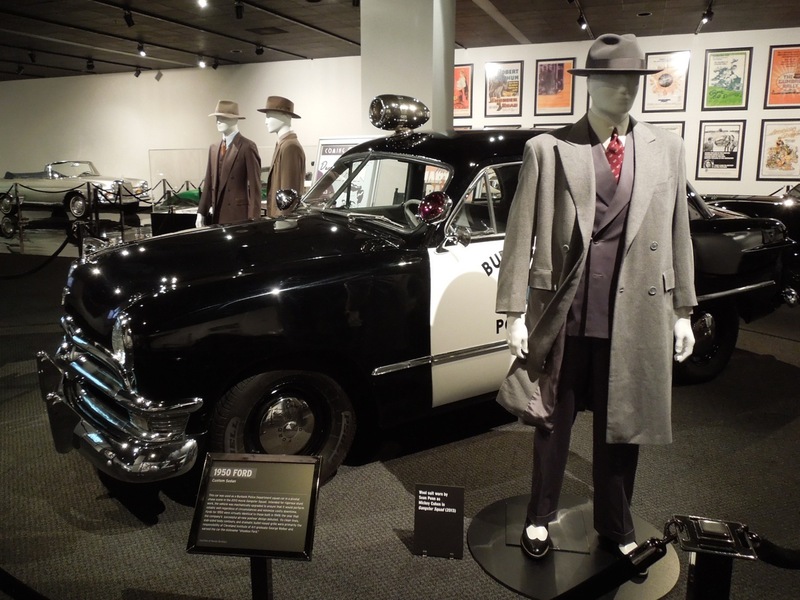 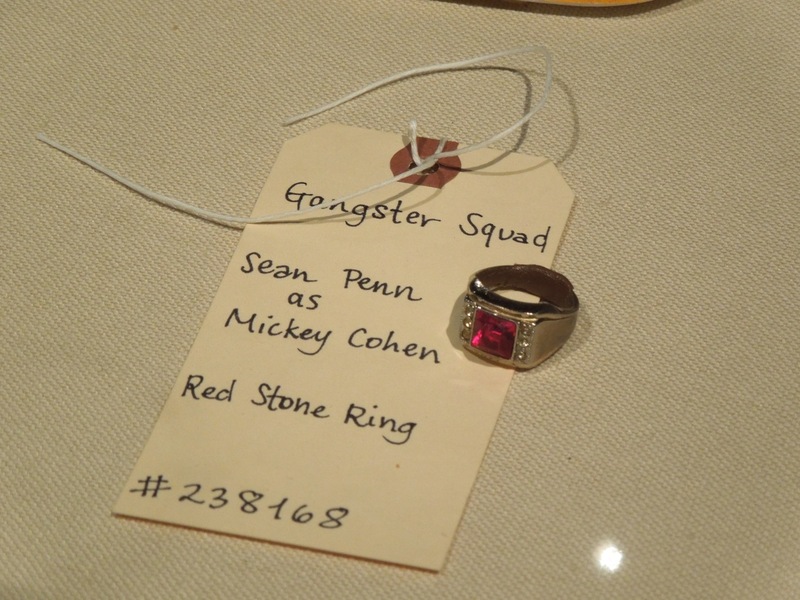 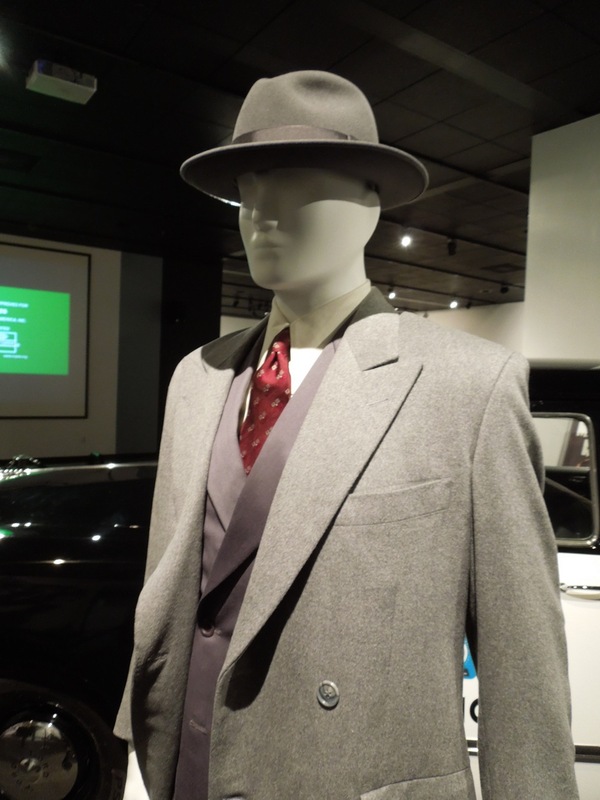 To help promote the forthcoming 2013 Gangster Squad movie the Petersen Automotive Museum in L.A. has a fantastic movie exhibit featuring original cars, costumes and props from the film currently on display, including Sean Penn's mob boss outfit. 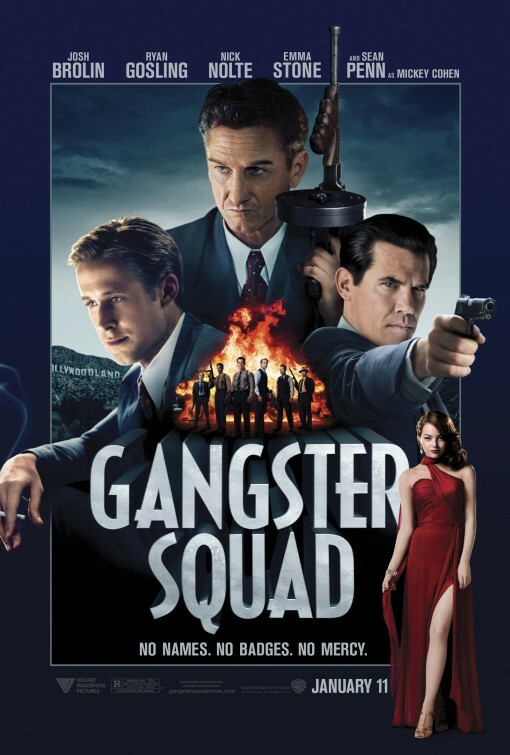 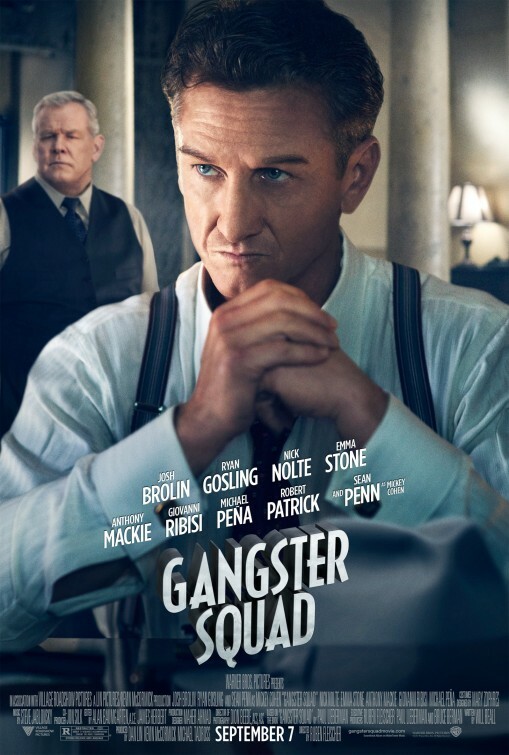 Gangster Squad is set in 1940's and 1950's L.A. when LAPD Detectives are trying to protect the City of Angels from an invasion of East Coast Mafia types led by Senn Penn's 'Mickey Cohen'. 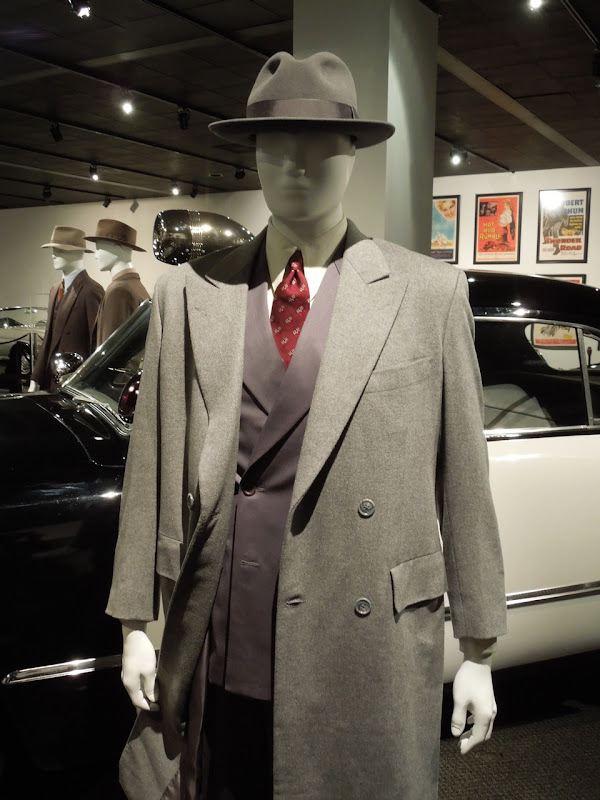 Mary Zophres is the Costume Designer on this movie and responsible in part for establishing the feel and mood of the period crime drama, including choosing appropriate attire for Sean Penn to wear as a successful, high-profile underworld figure in 1940's Los Angeles. 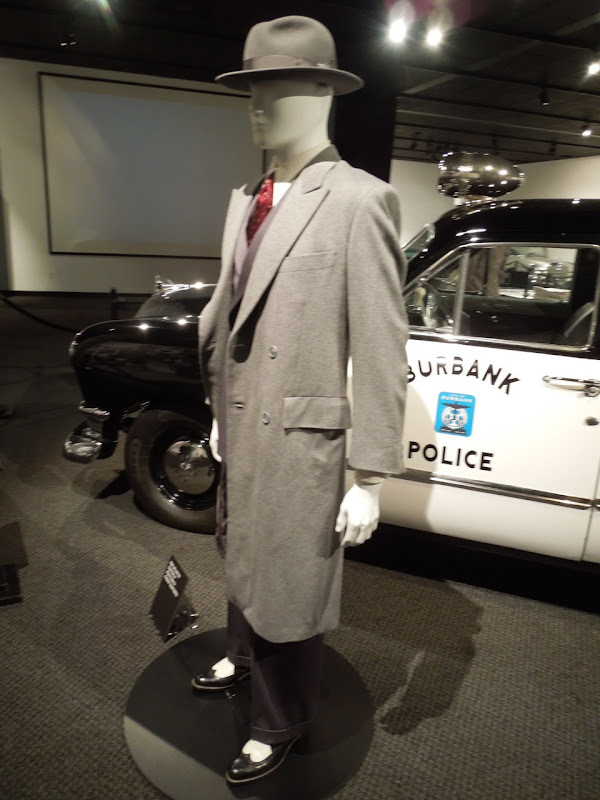 His Mickey Cohen outfit consists of a tailored overcoat, a conventional, yet expensive wool suit and some flashy two-tone wing-tip shoes. 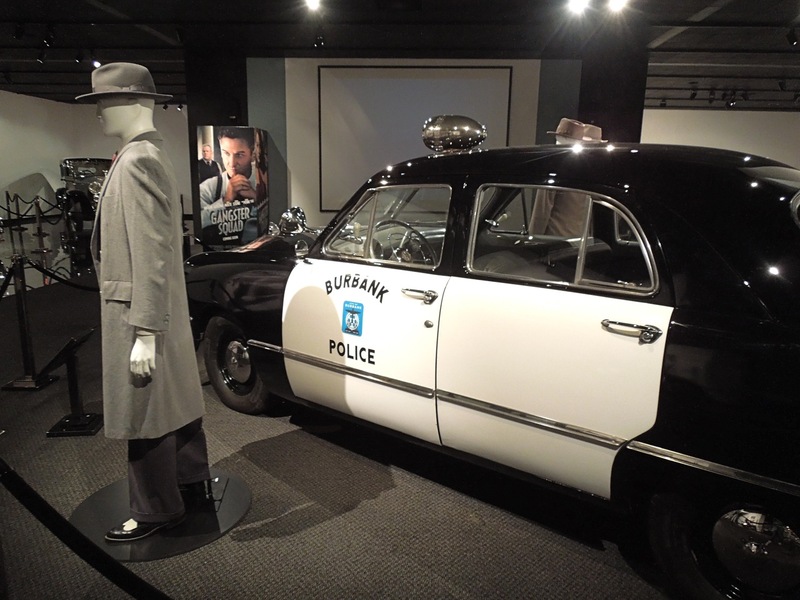 Sean Penn's costume is pictured alongside a 1950 Ford Custom Sedan which is used as a Burbank Police Department squad car in a pivotal chase scene in the movie. 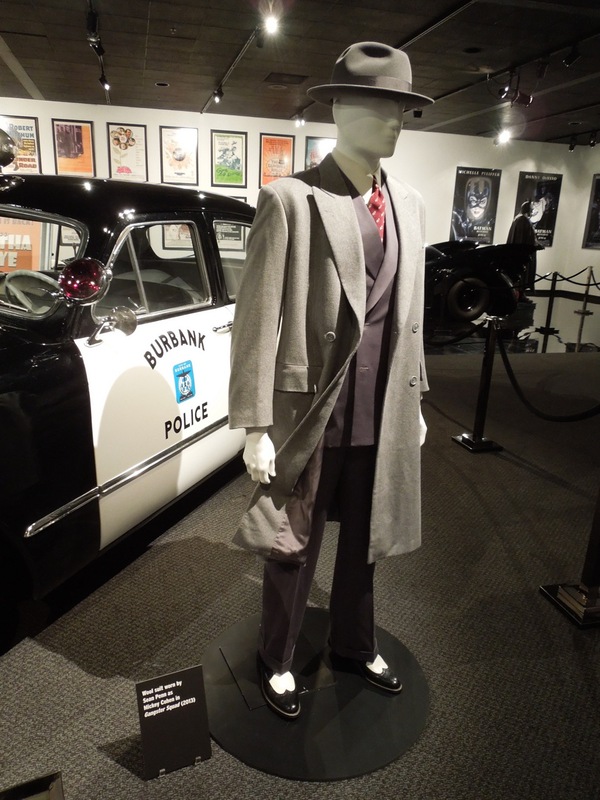 If you're a fan of the actor, be sure to also check out these original costumes worn by Sean Penn in Milk, for which he won an Oscar for his leading role portrayal of assassinated gay activist 'Harvey Milk'. 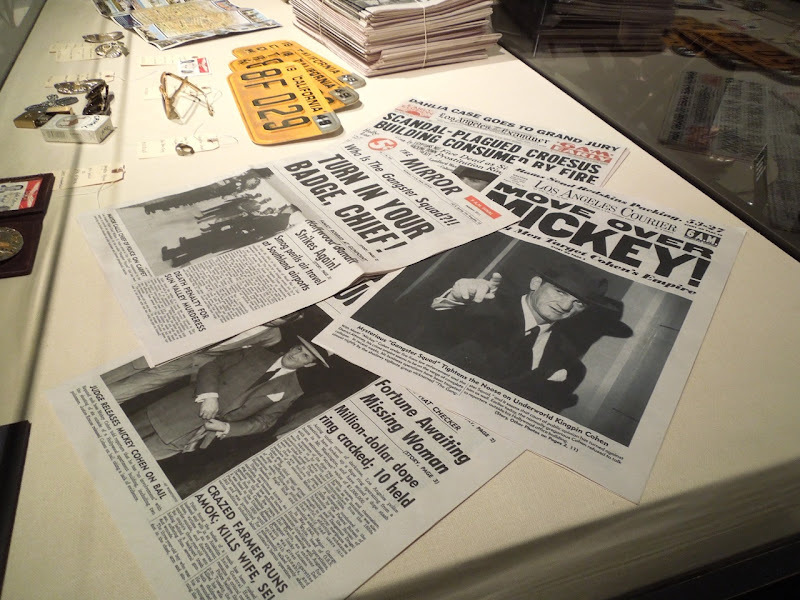 Also on display at the Petersen Auto Museum were original props used in the movie, like these printed newspapers and Mickey Cohen's red stone ring. 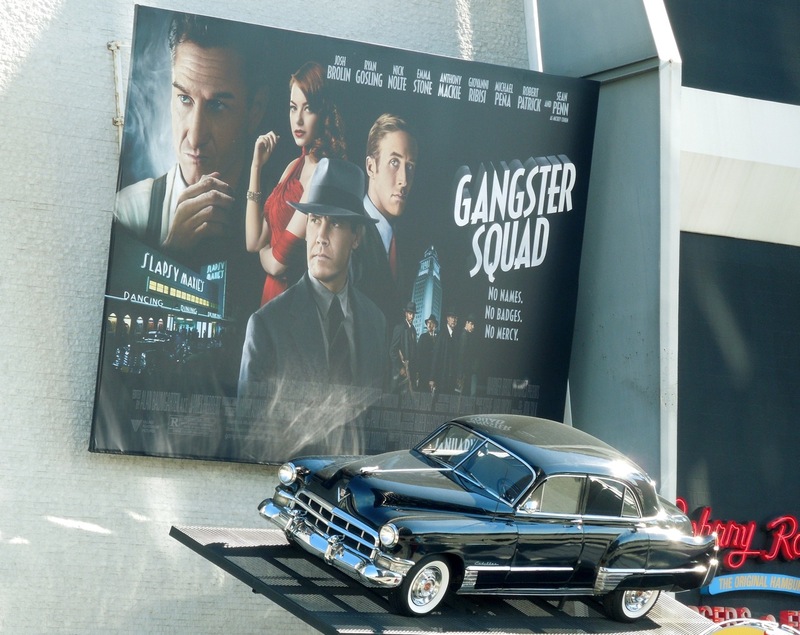 Plus be sure to stick around for even more movie costumes and props from Gangster Squad in the days to come.